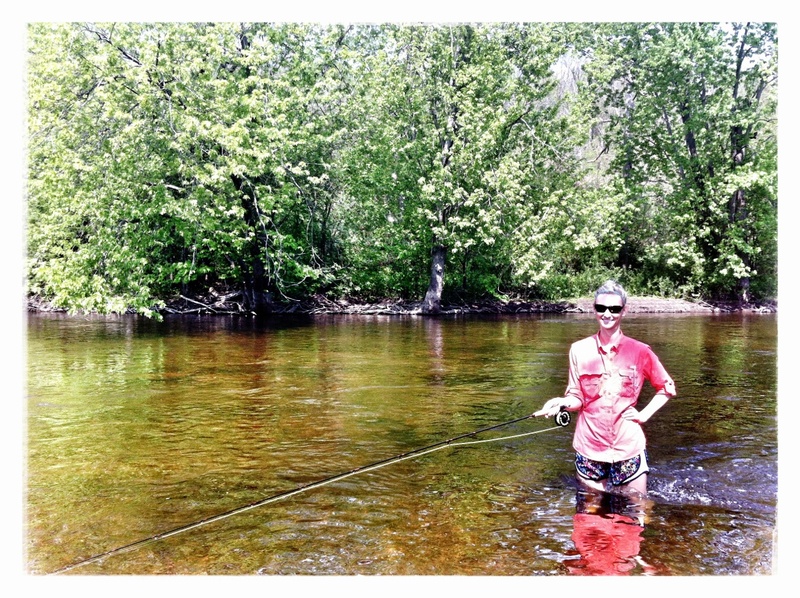 My husband has recently started fly fishing. 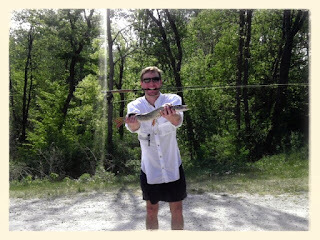 He took a really cool guided trip to an Orvis lodge on the San Juan River on the border of New Mexico and Colorado, and ever since, he has been hooked (get it, hooked?). I have always enjoyed fishing myself and decided it would be a cool hobby to take up. As soon as I told John this, he immediately went to Cabela’s to buy me a 4 piece, 5 weight fly rod. 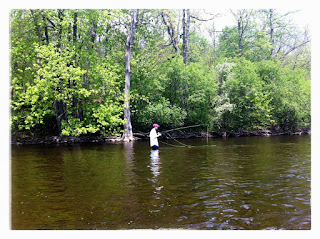 We then headed out to the Delhi metro park in Ann Arbor and started fishing. 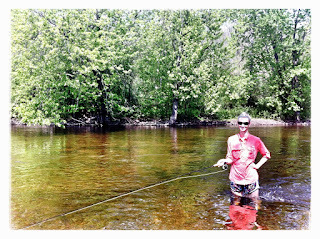 I didn’t catch anything – or get any bites, for that matter – but there is so much technique involved that I did learn a lot. John caught several bass, and I was pretty jealous. The next day John went fishing with his friend Jason and caught a 23 inch pike on his fly rod! 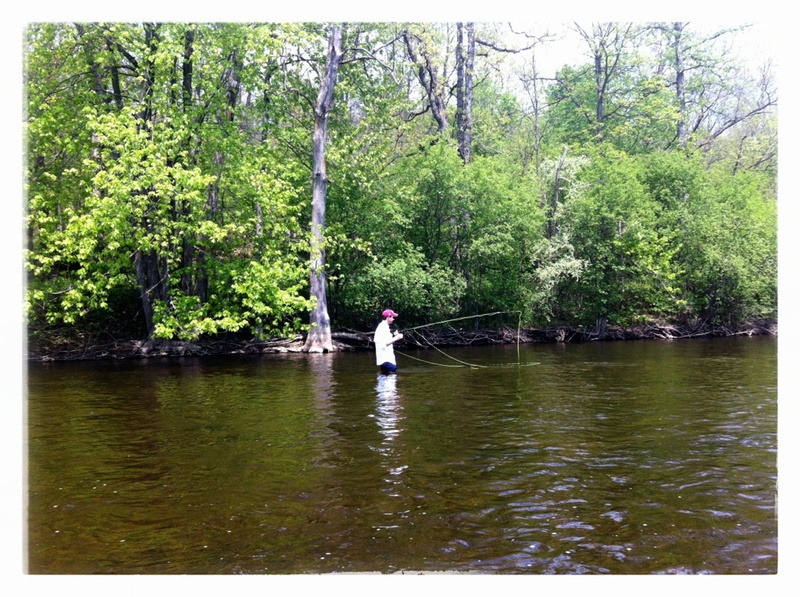 It is (so he told me) very, very lucky that he was able to reel it in because he did not have a steel line. He brought it home (Ann Arbor has a catch and release policy for bass, but not pike), and cooked it up. I was kind of sad that he was using my nice Wusthof knives to cut this huge slimy, but he assured me it was necessary. Anyway, I am looking forward to going out again and catching my first fish. Until then, I will catch fish vicariously through John!